It will also help teach machines to differentiate between man-made and natural sounds and to understand the world around them. The work is being led by Dr Dan Stowell, a research fellow in machine listening at EECS. It is supported through an Early Career Fellowship from the Engineering and Physical Sciences Research Council (EPSRC). In August 2015, Dr Stowell’s technology was released to the public in a smartphone app called Warblr. Users record the sound of a bird on their mobile device and the app analyses the sound, matches it with patterns of bird calls in its dataset and provides a list of possible species that the recording matches. Dr Stowell is now building on this work to take the computer analysis of the sounds that birds make to a new level, to discover more about what messages are being communicated and who is dominating the conversations that are going on. At QMUL’s laboratory aviary, female zebra finches provide Dr Stowell with plenty of audio examples for his work. In the longer term Dr Stowell’s work could be used in a variety of areas, from deciphering the dawn chorus to how climate change is affecting bird migration patterns. 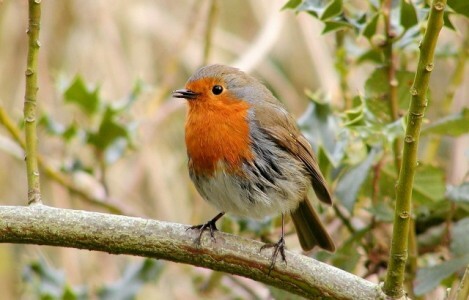 It could be used to identify what is happening in historic birdsong recordings kept in places such as the British Library. It will also improve our understanding of the way other animal groups are socially organised and how human language evolved. The Great British public are also playing an important role in Dr Stowell’s research. Since its launch, the Warblr app has led to the collection of more than 25,000 recordings from across the UK. But there is an element of unpredictability as a quarter of these recordings are not of actual birds but are instead people imitating the birdsong they have heard. These human imitations of birds are being used to teach computers not only how to distinguish between authentic and imitation bird song, but also how to separate them out from other types of sound, ranging from the ringing of a phone to the crying of a baby. EPSRC has produced a podcast with Dr Stowell explaining the research.